3/ Domestic transportation: Morocco has excellent links for domestic travels with trains and buses connecting all major cities and towns. That is a part of the country’s infrastructure investment to turn tourism into the main foreign exchange earner. – For trains, check oncf.ma (only in Arabic or French), then get to the station early and buy tickets at the counter. Beware that you may have to stand if there are not enough seats. I took the train from Marrakech to Casablanca and found it quite pleasant. I did have to stand for 2 stations but I was trained well after London. – For buses, two reliable companies are CTM and Supratours. 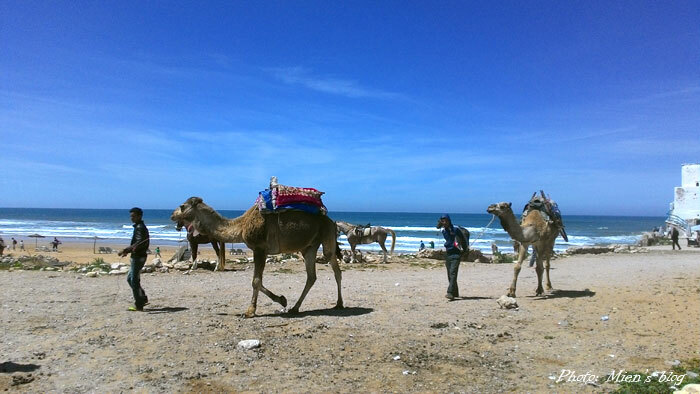 I took CTM from Agadir to Essaouira and Supratours from Essaouira to Marrakech and the experience was good overall. Finally I got the chance to follow my favourite chill-out melody to this beautiful city. I could never describe the bliss of walking on the streets of Agadir listening to this wonderful track by Bahir Al Bakir. Heaven to me is just that simple. Agadir, situated on the coast of Atlantic Ocean, about 4-5 hours by bus from Marrakech, is the 7th largest city in Morocco. The city was completely destroyed by a deadly earthquake in 1960 which killed a third of its population at that time. Therefore, unlike other cities in Morocco, Agadir doesn’t have an old quarter (medina). Instead, the whole city is new, clean and organized. Agadir is popular for leisure vacationers, international & domestic alike, with its many resorts and 5-star hotels along the coast. Furthermore, its Taghazout beach, 12 km out of the city centre, is a famous destination for surfers. There are not many choices for casual backpackers, but my experience in Agadir was wonderful thanks to all the kind people I met. I got a small accident when getting there for hopping on a random local bus from Marrakech with no one speaking English on it. It stopped outside Agadir and I totally panicked getting off the bus without any slightest idea of where I was. Lucky me, local people were very nice and helped me get to Agadir on a shared taxi which cost me as little as 5 Dh. And in Agadir I got more help from 2 lovely students and a taxi driver. I’ll never forget the kindness of Agadir people. They made my entire trip! I stayed at a small local hotel, 20 minutes walk from the beach, named Hotel Lakhssass (No. 5 Rue Yaâkoub El Mansour, Tel: 05.2882.2798). The price was 120 Dh per night and I got my own room with 2 beds! The hotel owner was very smiling and helpful. He said I was the first guest from Vietnam that he had ever had! A beautiful little old town on the coast, 3 hours bus ride from both Marrakech and Agadir, Essaouira is a combination of those two: Marrakech’s ancient charming look but far less chaotic and Agadir’s tranquil atmosphere with cool ocean breeze. The little town is very welcoming and is a great place for relaxing and shopping. 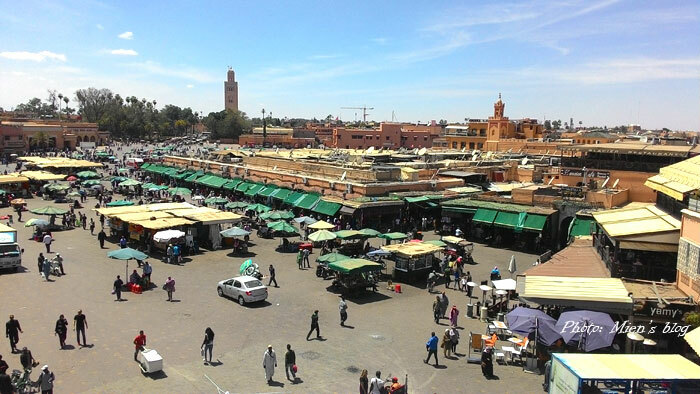 Prices are a lot more reasonable than in Marrakech and the souk is small and easy to control. 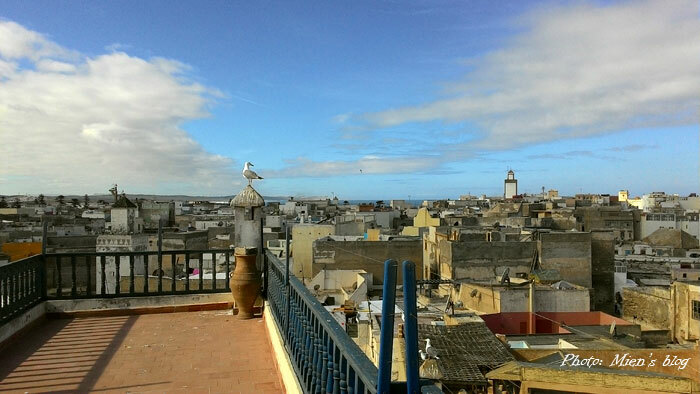 Essaouira always guarantees to bring visitors the feeling of utterly peace, as if there were nothing on Earth we have to worry about. I stayed at the lovely Atlantic hostel (60 Dh per night without breakfast), and met with two wonderful travellers from Germany and the US who I went with to a small town nearby called Sidi Kaouki. We got there on a local public bus and spent a slow relaxing afternoon strolling along the beach. Some locals there were happy shaking hands with me and telling me that they knew several Moroccan veterans who fought alongside Vietnamese soldiers during the Vietnam War. I couldn’t believe it until I got to watch this moving documentary on Aljazeera about the Moroccan soldiers once fought in Indochina – another saddening example of how wars displaced people around the globe. One more point worth mentioning is that Essaouira is home to the best-loved Gnaoua World Music Festival in Morocco. After watching this below video you’ll understand why next time visiting the country, I’ll definitely schedule it around Gnaoua Fest. Morocco is generally a great place for music fanatics and Essaouira’s Gnaoua Festival is its best offer. Despite being the best-known city of Morocco thanks to the classic Hollywood blockbuster with the same name, Casablanca actually is not a touristy place. The biggest city and commercial centre of Morocco, Casablanca is acclaimed one of the largest financial centres on the African continent; and the port of Casablanca is the largest one in North Africa. 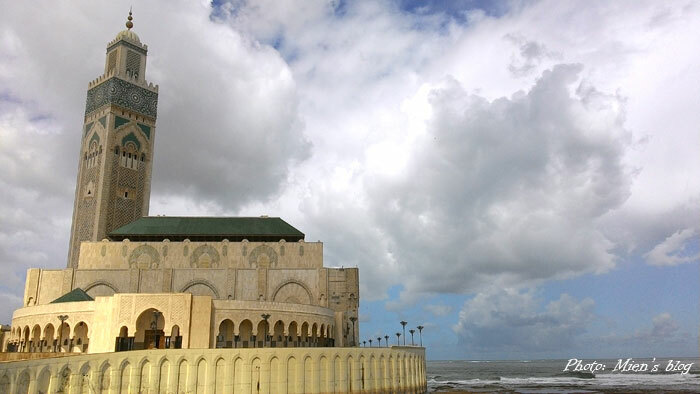 This city also housed one of the largest moques in the world – the Hassan II Mosque. Though Casablanca may not leave much impression for tourists, with professional opportunity seekers, the city is obviously the promising one! As an enthusiast in creative industries, I met lots of wonderful people here, one of whom is running madNess, an online art and culture magazine that much resembles my own Hanoi Grapevine in Vietnam. Sadly I had to miss an inspiring lady who runs a popular co-working space for start-ups called New Work Lab but I believe like-minded people will finally run into each other somewhere else in the world. The New York Times also published a 36-hour travel guide for Casablanca, not the best guides, but the videography is just stunning. It’s hard to describe how much I love this place. It’s not often that a touristy place can grab my heart like Marrakech did. Claimed the tourism centre of Morocco, Marrakech is home to incredibly beautiful ancient imperial architecture, large traditional markets and most of all, the vivid Jemaa El Fna, arguably the busiest square in Africa. Two comments by my random travel mates “everyday festival!” and “magical place” are probably what best describes Marrakech! I can spend days strolling around the old souks and nights wandering in the old square Jemaa El Fna among dozens of Berber music groups and not even feeling bored. Just like my first trip, the majority of my time was spent in Marrakech. I used it as a base to travel to other parts of the country and I couldn’t seem to ever get bored of it. Even though the chaos, crowd and social prejudice could be quite intense, I still loved the city with all my heart. Probably because of the music, maybe because of the culture, or the people, I’m not sure, but the city caught me totally. The time I had there was precious, with both ups and downs, but I’ll never forget the people I met or the stories I heard. I learned a lot of insights about Moroccan culture, religion, tradition and history here through long hours talking with local people and other travellers. Interacting with people and learning about their life means a lot more for me nowadays than checking in tourist attractions. I might have missed a few landmarks but I got engaged into the society and for me that was a lot more important. The moment my plane took off from Ménara Airport I almost sobbed. I realized I had fallen in love with this city, because I somehow found myself in it. One practical note: Bus no. 5 goes from Jemaa El Fna to the train station (CTM and Supratour stations are nearby), and bus no. 19 goes to the airport. I left Morocco for the second time without visiting Tangier (another big port city in the North), Rabat (the political capital), Fez (the biggest medina), Chefchaouen (the beautiful blue town on the mountain) or Merzouga (a small village deep in Sahara desert), but that leaves me even more reason to return. One of my life goals is to experience life in different places on our marvellous Earth, and Morocco is definitely the one. I didn’t just leave the country, I left a piece of my heart. And my promise is, no matter how long it takes I’ll come back to my North African home.